Like Paul on the road to Damascus, Luke Smith, the owner of Naramata Bench’s Howling Bluff Estate Winery, has had a conversion. Luke once was a collector of Bordeaux wines (until selling his collection at a profit). He had a Bordeaux blend in mind when he began planting Merlot and other Bordeaux varieties in 2004 and 2005. In a 2005 interview with me, he spoke of his ambition to make a “blockbuster” Merlot. To be sure, he planted some Pinot Noir but it was not central to his ambition for the winery. It is now. He is switching over most (but not all) of his vineyard to Pinot Noir. When the remaining vines are planted this year, he will own or manage about 6.5 acres of Pinot Noir – or about two thirds of his vineyard. There is no doubt that his property on Three Mile Road produces excellent Pinot Noir. Howling Bluff’s debut Pinot Noir in 2006 won a Lieutenant Governor’s Award of Excellence. The 2008 Pinot Noir, a gold medal winner, was judged the red wine of the year in the 2010 Canadian Wine Awards. And I have news for you. The 2009 Pinot Noir, which will be released in late April under the Summa Quies label, may well be the best Howling Bluff Pinot Noir so far. It is not cheap to alter a vineyard’s varietal mix. Fortunately, Luke has the resources to do it, having been a successful stock broker before his career in wine. Credit him also for being open-minded enough to understand what the vineyard was telling him. Although the varietal mix is shifting, the winery remains tightly focussed, making one white and (mostly) two reds. The white is a blend of Sauvignon Blanc (70%) and Sémillon. He has been on a learning curve with those vines, too, eventually figuring out that perhaps the vines were not getting enough water or nutrients. Any such farming deficiencies seem to have been worked out, however. The 2010 Sauvignon Blanc Sémillon ($19) will be released at the end of April. It is a delicious white, with aromas of grapefruit and clover honey. The grapefruit is echoed on the rich palate; and the wine is crisp and tangy on the finish. 90. Sin Cera, as Howling Bluff calls its Bordeaux blend, originally was to become a 1,000-case production annually. With the vineyard conversion, it is being limited to about 300 cases annually, hand-crafted wine from vines hand-tended to produce a stunning limited quantity red. A tank sample of Sin Cera 2009 - the wine will be released perhaps this fall for just over $30 – is already impressive and shows great potential to develop in the bottle. It is a chewy, concentrated red with flavours of plums, olives, figs and with long ripe tannins. 90-93. At centre stage is the Summa Quies Pinot Noir 2009 ($32). This wine begins with glorious aromas of strawberries. Big and fleshy on the palate, yet with the classis silky texture emerging, this seductive wine has flavours of cherry and strawberry that linger and linger. 92. Summa Quies is the name of Luke Smith’s vineyard. A Latin phrase that Luke once saw in a Hugh Johnson book, it means, more or less, attaining peace. He considered it for the winery name but, after some consumer hesitance, he opted for Howling Bluff, inspired by the winds that howl across his vineyard. The winery label, with an image of a howling wolf, was a little too much critter label for high-end restaurants. They were willing to list the wines on the basis of their quality but the label proved to be a deterrent. The new Summa Quies label, clean and elegant on textured white paper, has the look of timeless luxury. Credit some of Luke’s conversion to Pinot Noir to his consulting winemaker, Chris Carson. An Edmonton native, he trained and worked in New Zealand. He started advising Howling Bluff just before the 2008 vintage. “Chris got here late July, August,” Luke told me in 2009. “The first thing he wanted to see was the Pinot Noir.” In no time, the vineyard crew was dropping crop, ensuring the vines would produce high quality fruit. What happened next is one of the legends at Howling Bluff. He was still wondering whether it was a leg pull when Jacqueline Kemp, Chris’s wife and also a winemaker, happened to come by. It became Canada’s red wine of the year and Luke has never looked back in his passion for Pinot Noir. Did Harley Hatfield blow another fuse at Blasted Church Vineyards? Richard has been the winemaker there for four years, a longer tenure than any of Blasted Church’s previous four winemakers. Whatever the reason for this parting of ways, Richard has been making excellent wines, as I noted during a recent tasting of new Blasted Church releases with him in the winery. One of the most impressive was the 2010 Hatfield’s Fuse, a complex seven-grape white wine which, at 6,000 cases, is perhaps the flagship wine for Blasted Church. It is said to be named for Harley Hatfield, the foreman of the crew that used dynamite to loosen nails in heavy timbers while dismantling a church being moved to Okanagan Falls in 1929. Blasted Church wishes to announce that the firm has begun a search for a new winemaker to succeed Richard Kanazawa, who is leaving the company, effective immediately. "We have enjoyed a highly productive and successful four year relationship with Richard as our Winemaker," stated Chris & Evelyn Campbell, owners of Blasted Church Vineyards. They added, "We believe that at this stage of our development, Blasted Church will benefit from the insights and talents of a new Winemaker. We wish Richard the very best as he champions his winemaking career into the future." The Company has initiated the search process for the new Winemaker, with the assistance of Watson Advisors Inc. in Vancouver, BC. The search will span both the domestic and international markets. Located in the Okanagan Falls, BC, Blasted Church is recognized for its bold and fresh approach to winemaking. In 2002 he went to Australia, taking courses at Charles Sturt University and working at several wineries. The Simon Gilbert winery recognized his potential. “They said I was being wasted in the cellar, so I moved up to the lab.” He returned to Canada in 2004 with winemaking experience on his resumé, joining Red Rooster for two vintages. The debut 2006 Malbec at Red Rooster won a Lieutenant Governor’s Award of Excellence. Because he switched wineries after that vintage, he got to finish the 2006 Blasted Church Syrah which also won a Lieutenant Governor’s award. Don’t expect to see him absent from the industry for long. Richard and Jennifer, his wife, have been developing wines for their own label. Currently, he has about 500 cases of two reds still in barrel – a Meritage and a Syrah Viognier Mourvedre – for potential release in 2012. Here are notes on current releases from Blasted Church. OMG 2008 Sparkling Wine ($24.99). Blasted Church’s first sparkling wine, this is a cuvée of Chardonnay (50%), Pinot Blanc and Pinot Noir (25% each). It displays toasty aromas and flavours reminiscent of some Champagne, with good weight on the palate and with finish that is crisp and tangy. 88-90. Chardonnay Musqué 2010 ($17.99). This is an unoaked wine made from the aromatic clone of Chardonnay. It has floral, spicy aromas mingled with notes of apple and citrus and pear flavours. The wine has a fresh, juicy texture and a long finish. The winery produced 285 cases. 90. Pinot Gris 2010 ($19.99). The winery produced 2,580 cases of this popular white. The wine is simply yummy, with a touch of citrus on the nose and with layers of tropical fruit flavours on the palate. 90. Gewürztraminer 2010 ($16.99). There is still some of the winery’s 2009 on the market but the release of this is imminent. It is a delicious example of the variety, with aromas of spice and citrus and flavours of peach, lychee and ginger. 89. Mixed Blessings 2010 ($17.99). The winery has produced 302 cases of this aromatic white, a blend of Riesling (64%) and Gewürztraminer (36%). The wine begins with expressively fruity aromas. The palate is juicy with flavours of lime and grapefruit and the finish is tangy and fresh. 90. Hatfield’s Fuse 2010 ($17.99). The blend here is as complex as any of the new white blends taking the consumers by storm: Gewürztraminer (25%), Pinot Gris (19%), Pinot Blanc (18%), Chardonnay (13 ½%), Ehrenfelser (13 ½%), Optima (6%) and Riesling (5%). There is layer upon layer of fruit on both the nose and the palate – melons, guava, apricot. The fruit intensity gives an impression of sweetness on the palate but the finish is refreshingly dry. 91. Riesling 2010 ($18.99). This is about to be released. Like most dry Rieslings, it will benefit with six months to a year of bottle age, so that the glorious apple and citrus aromas and flavours can emerge fully and so that the classic note of petrol becomes more pronounced. Even with a balancing amount of residual sugar, the acidity is still bracing. 88. Rosé 2010 ($17.99). Not yet released, this is an appealing dry rosé comprising Cabernet Sauvignon (55%), Malbec (29%) and Cabernet Franc (16%). The wine has aromas of cranberries and strawberries which carry through on the palate to a dry, peppery finish. 88. Big Bang 2009 ($18.99). In the issuance of new labels last year, the winery rebranded its Dam Flood as Big Bang. This is a red blend of Gamay Noir (60%), Lemberger (16%), Merlot (15%) and Maréchal Foch (9%). It succeeds as a light to medium-bodied summertime quaffer, tasting of plum and cherry. The winery made 1,470 cases. 88. Pinot Noir 2009 ($24.99). Not yet released, this is an attractive wine with the classic silky texture of the variety and with aromas and flavours of strawberry and cherry. 89-90. Merlot 2008 ($25.99). Not yet released – the excellent 2007 is still in the market – this wine begins with a spectacular aroma of lingonberries. On the palate, it presents an array of berry fruits and a texture that is ripe and concentrated. 91. Cabernet Sauvignon/ Merlot 2008 ($25.99). The winery has released about 2,000 cases of this red. The blend is Cabernet Sauvignon (48%), Merlot (44%), Malbec (4%), Petite Verdot (3 ½%) and Cabernet Franc (1/2%). This is a dark, brooding Bordeaux blend with some cedar notes on the nose and with flavours of black currants and black cherry. 88-90. Thirteen Canadian wineries – the majority from British Columbia - brought home medals from the 2011 Chardonnay du Monde competition in France. The only gold medal was won by Red Rooster Winery of Penticton for its 2009 Chardonnay. The winery made 1,793 cases and is selling the wine only for $16.99. It was also judged one of the 10 best wines in a competition in which 914 Chardonnay wines competed. This competition is now in its 18th year. The same sponsors have also launched competitions for top Syrah, Muscat and Sparkling Wines. Whatever the format, it is still a big achievement to win medals in the world’s biggest Chardonnay competition. It has to especially satisfying for Red Rooster and Karen Gillis, the winemaker, to win gold with a $17 wine that is readily available. The wine begins with aromas that, as one of my tasting companions put it, say “drink me!” There are notes of apricots, peaches and honey on the nose. On the palate, there are clean citrus flavours and a good, creamy weight. The finish is crisply clean. This is a barrel-fermented wine but the oak is very subtle, supporting the fruit flavours. Try it yourself and find out what impressed the judges. Below is the complete list of Canadian medalists. These were the 10 best gold medal wines in the competition. Mike and Gillian Stohler, the owners of one of two new Summerland wineries opening this spring, would like consumers to bring back wine bottles for re-use. They are not alone is trying to get real bottle recycling established; a number of wine producers are offended that returned wine bottles are simply crushed. For the Stohlers, this is part of the green sensibility governing how they manage their SummerGate Winery. It is one of the handful of organic wineries in British Columbia. They made the decision to be organic as soon as they bought this Summerland vineyard in 2007. They now have their first wines, all white, in their tasting room as well as in a few restaurants and in Liberty Wine Stores in Vancouver. Judging from the quality of those wines, being organic is not a disadvantage for this couple. They took their time finding a property, making their decision in 2007 before Okanagan real estate values inflated out of sight. They bought the property where winemaker Eric von Krosigk had already planted about nine acres of grapes, intending to develop a winery dedicated just to sparkling wines. His project was shelved for personal reasons and the 9-acre vineyard was sold. Half of the vineyard is planted to Muscat Ottonel, propagated with cuttings that Eric obtained when he was working with Hillside Estate Winery, where Muscat Ottonel is a flagship wine. The remainder of the vineyard is planted to Riesling and to Kerner. “I love Kerner” says Mike. While at a German wine industry trade show a few years ago, he and Gillian researched the origins of the grape. It is a 1929 cross of Riesling and Trollinger, named for some obscure reason after a poet called Justinus Kerner. There is, in fact, a move in Germany among quality producers, to release the wine as Justinus K.
Mike is not going that far yet because Kerner does not have a bad name in British Columbia. He has even added to his vineyard’s Kerner acreage, having found that the variety is well suited to his comparatively cool site. SummerGate’s red wines are a few years down the road. A neighbour with a good 4.5-acre site is proposing to plant Pinot Noir, along with Gewürztraminer, for SummerGate. Even when those vines are producing, SummerGate will remain a boutique winery. “It is all about careful growth,” Mike says. “Being big is not part of our plan. We’re happy doing what we are doing.” The winery made about 450 cases in 2009 and about 600 cases last year. All wines are priced at $19.90 a bottle. When he is not busy now as a realtor with one of the major firms, Mike is managing the vineyard with the discipline necessary for good wines. “We crop down to one or two tons an acre,” he says. Gillian – she pronounces her name with a hard G – is the winemaker. She has taken Okanagan College winemaking courses. In its initial vintage, SummerGate also called in a consultant, Kelly Symonds, the former winemaker at Hillside. As well, both a German winemaker and one from New Zealand spent several months here under a hosting program called World Wide Opportunities on Organic Farms. Her small batch winemaking begins with grapes that Mike and his crew pick into small buckets, not large bins, so that the fruit does not get squashed on the way to the winery. The grapes are fermented at cool temperatures to preserve the aromatics. Whenever wine is moved in the winery, dry ice is used to shield the wine from air. This reductive winemaking yields fresh, clean and focussed wines. Here are notes one the debut releases. Muscat Ottonel 2009 Stohler Family Reserve: This begins with the variety’s classic signature, a floral aroma of rose petals. On the palate, the wine is fresh and crisp, with citrus flavours and with the defining bite of spice on the dry finish. 88. Kerner 2009 Stohler Family Reserve: The 61 cases of this wine have been sold at the winery but may still be in restaurants. The wine is balanced to finish off-dry. There is enough residual sugar to add a richness to the creamy mid-palate and a lift to the tropical fruit aromas and flavours. 89. Riesling One 2009 Stohler Family Reserve: In 2009, the Riesling harvest at SummerGate was interrupted by poor weather. The grapes picked in early October produced this wine. It begins with aromas of citrus and a classic hint of petrol. On the palate, the wine is crisp with flavours of lime and green apples. The finish is tangy and refreshing. 90. Riesling Two 2009 Stohler Family Reserve: The late-picked Riesling had a touch of botrytis and lower acidity. The wine begins with a hint of honey comb on the nose and a touch of honey mingling with the citrus flavours. The finish is dry but softer than its partner. 88. When to visit: Afternoons Friday through Monday May 1-October 31; weekend afternoons in winter; and by appointment. This blog on Ancient Hill Estate Winery is the first in a series looking at the surprising number of new wineries opening this spring – what I call the Class of 2011. This winery will open May 1. Ancient Hill, which is located on a hillside east of and above Kelowna International Airport, is not far from where one of the earliest grape-growing trials took place in the Okanagan. Starting about 1930, Hungarian-born brothers Eugene and Virgil Rittich did extensive evaluation of vinifera grapes. They also wrote British Columbia’s first wine book, discussing their results and counselling how to make wine. Their name has survived as a street name not far from Ancient Hill. Richard Kamphuys (rhymes with compass), who owns Ancient Hill with wife Jitske, notes that Lemberger, one of the varieties recommended by the Rittich brothers, thrives in his vineyard. The couple came to the Okanagan from Holland and bought an apple orchard. Richard, who was born in 1963, completed an advanced economics degree at the historic Erasmus University in Amsterdam before decided he wanted a rural lifestyle for himself and his family. The previous owners of the property, encouraged by the Rittich trials, planted grapes on the hillside in 1944. But they abandoned the vineyard when a hard winter killed many of the vines and even some apple trees. About 40 of those ancient vines, probably Okanagan Riesling, still survive. When apples became unprofitable, Richard and Jitske replaced the orchard in 2005 with 27,000 vines over about six hectares (15 acres). They planted mid-season ripening varieties: Pinot Gris, Gewürztraminer, Lemberger, Zweigelt and Pinot Noir. Richard’s preparations for the wine business included taking both viticulture and winemaking courses at Okanagan College. At the same time, he has retained Christine Leroux as the consulting winemaker for Ancient Hill. To design the winery, they hired Robert Mackenzie, the Penticton architect who has been involved with numerous Okanagan wineries. His early sketches were for a modernistic building with lots of glass until Richard and Jitske said they preferred a winery with an old world feel. The architect came up with a handsome structure which sits comfortably in the landscape. The view from the tasting room takes in vineyards and, in the distance, the Kelowna airport. Richard and Jitske already are considering promoting a stop at the wine shop for passengers either arriving early for a flight or waiting out a flight delay. Here are notes on the debut wines at Ancient Hill. Pinot Gris 2009 ($17.95). The winery is releasing 125 cases of this wine. It is a juicy-textured and easy-drinking unoaked white with flavours of apricots and pears. 88. Gewürztraminer 2009 ($18.95). The winery produced 630 cases in 2009, purchasing about half the grapes required from Winfield-area vineyards. (All of its wines in 2010 are entirely estate grown.) This wine is finished dry, with food in mind. It has the classic spicy aromas and spicy/citrus flavours of the variety. 88. Lazerus 2009 ($19.95). This red, with a production of 205 cases, is an unoaked blend of 61% Lemberger and 39% Zweigelt. As in Austria, the varieties blend well. Richard settled on a proprietary name because he figures these varietal names don’t sell themselves in this market. The wine has a juicy texture without being heavy. It begins with aromas of red berries and caramel candy and has flavours of blueberries and currants. 88. Baco Noir 2009 ($24.95). This is the winery’s big red, aged in American oak. It has ripe flavours of plum with a hint of mocha and a spicy sweetness on the otherwise dry finish due to the good oak match. The winery made 140 cases. 90. Yet to come is a Pinot Noir from 2009, still maturing in oak. Hester Creek Estate Winery has added firepower by dipping into the talent pool at Vincor Canada. Rob Smith, who was Vincor Canada’s Okanagan sales manager for the past 13 years, has been named sales director at Hester Creek. He was recruited primarily for his track record in sales. “He knows everyone, and is well liked for his easygoing nature and professionalism,” Hester Creek said in its announcement. Before going into the wine business, Rob managed a Whistler restaurant for several years, experience that will serve him well now that Hester Creek also is opening a restaurant. This is the second time that Hester Creek has attracted a Vincor veteran. Mark Sheridan joined Hester Creek last year as general manager after 10 years as Vincor’s director of vineyard operations in the Okanagan. Born in Australia, where he trained, Mark arrived in the Okanagan just as Vincor began planting its extensive south Okanagan vineyards. By the time he left the company, wines from those grapes were winning awards around the world. Recruiting talent from Vincor is only part of what Curt Garland, Hester Creek’s owner, has been doing to transform this winery, which he bought in 2004, into one of the Okanagan’s leading producers. He lured a veteran winemaker, Rob Summers, from Ontario where he had been the national winemaker at Andrew Peller Ltd. Last year, Hester Creek replaced its old winery with a thoroughly modern facility equipped with state-of-the-art winemaking tools. Making good wines from a great vintage is a matter of routine. The Okanagan’s 2010 vintage, on the other hand, was a difficult one – the type of vintage in which the winemaking cream rises to the top. Thus it was that I approached, with considerable anticipation, a tasting of wines from Le Vieux Pin and LaStella (sister wineries) that included several 2010 wines. Adding to the anticipation was the change in the winemaking team that occurred last summer when Severine Pinte-Kosaka, a French winemaker, took over at LaStella, complementing James Cambridge at Le Vieux Pin. Judging from this tasting, it is a strong team. Their 2010 whites are excellent. The vintage was scary, starting with a late and cool spring, followed by a cool summer. Most growers began dropping some crop to that the vines would ripen the remaining grapes. The unusual (for the Okanagan) rain in early September set up ideal conditions for mildew and rot. The weather turned after mid-September to produce a long, dry autumn that basically saved the vintage. Given the prevalence of rot, most wineries had to sort their grapes carefully, ensuring that only healthy fruit was crushed. Overall yields were down but the fruit, when healthy, delivered vibrant flavours. The 2010 wines from meticulous producers are surprisingly good. This was undoubtedly the most challenging of James Cambridge’s four vintages at Le Vieux Pin. A graduate of the Niagara College winemaking program, James began his career at the Creekside winery in Ontario and then worked at the Henry of Pelham winery before moving to the Okanagan. Here he spent a few years at Summerhill Pyramid Winery before taking over at LVP. Severine Pinte-Kosaka’s winemaking career in the Okanagan began with the 2010 vintage. Born in France in 1973, she has a master’s degree in viticulture from the winemaking school at Montpellier. Her husband, Michael, is a Vancouver native who was running Butterfields and Robinson tours in France. Severine has had some Canadian experience, having worked briefly at Langley’s Domaine de Chaberton Winery and also in Ontario before returning to France and kicking her career into high gear in Bordeaux and then in Languedoc. Among other posts, she spent 10 years as head winemaker for a large co-operative producer. All along, she kept a close watch on what was happening in the Okanagan because she and her husband visited British Columbia regularly. She met one of the owners of LaStella and Le Vieux Pin in 2007 and stayed in touch. She moved to British Columbia in 2010 with her husband and their two children. “The Okanagan is a wonderful place for raising children,” she says. 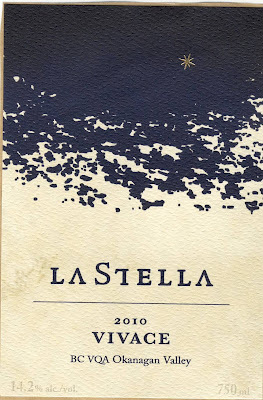 She was available in August that year when the winemaker’s position came open at LaStella. Next month, the wineries will start releasing 2010 wines along with wines from earlier vintages. Here are notes on some of those new releases, with retail pricing; restaurant pricing is a little lower. 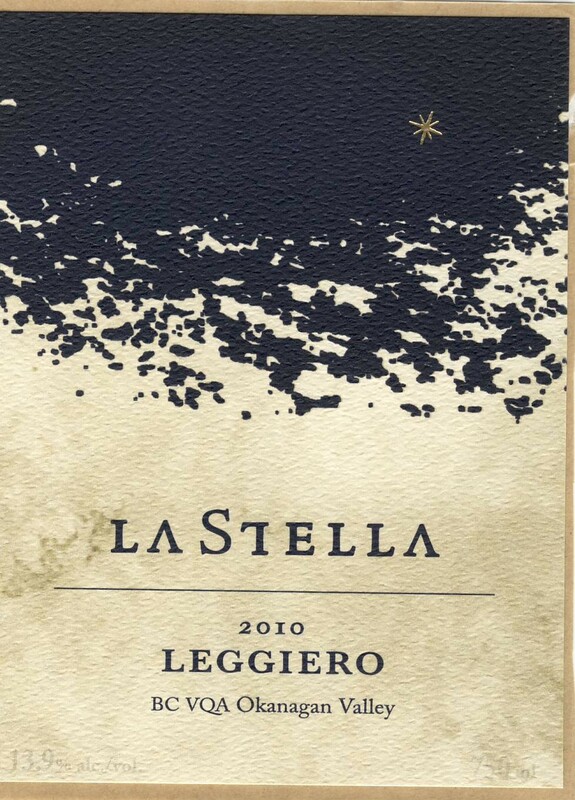 LaStella Leggiero 2010 ($25). This unoaked Chardonnay is inspired by the style of northern Italian Chardonnays. (The mandate of LaStella is to lean stylistically toward Italy while Le Vieux Pin leans to Rhone-style wines). This wine, with a release of only 330 cases, begins with appealing aromas of flowers, apples and bananas. On the palate, the citrus and apple flavours have a clean, crisp, and laser-sharp focus. The finish lingers. 90. LaStella Vivace 2010 ($25). With a production of 630 cases, this is a Pinot Grigio that nails the Italian style precisely. The wine is light and fruity with aromas and flavours of citrus and fresh pears. The hint of residual sweetness, balanced by good acidity, adds to the charm. 88. 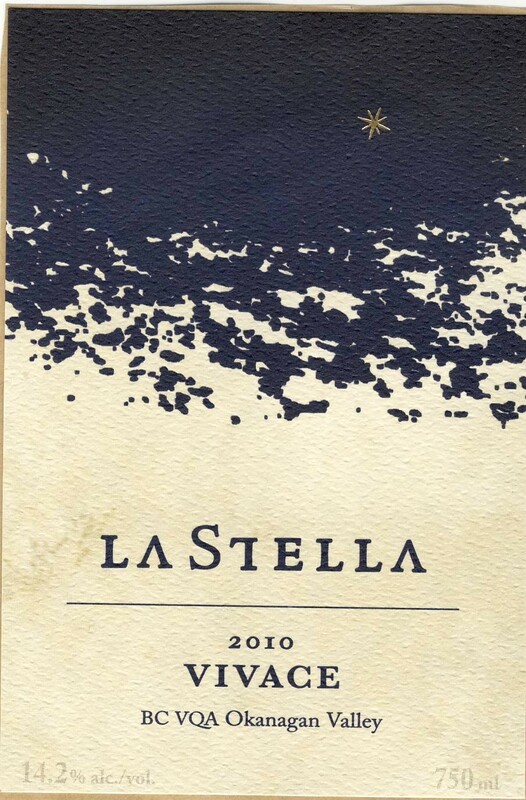 LaStella Moscato d’Osoyoos 2010 ($19.90 for 500 ml). The winery is releasing 450 cases (half litre bottles) of this elegant aperitif, a blend of three Muscat varieties. Light in alcohol at 9% and finished with slight effervescence, this wine begins with attractive floral aromas and has spicy fruit flavours, with a refreshing tang on the finish. 90. 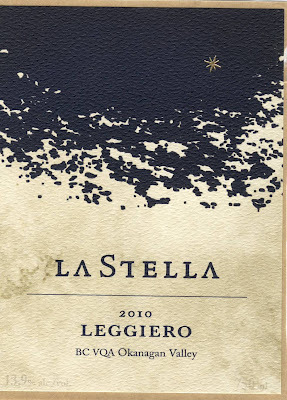 LaStella Allegretto 2008 ($45). 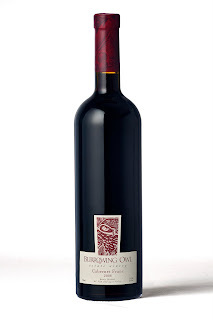 The winery is releasing 188 cases of this wine, a ripe Merlot from Osoyoos vineyards. The intense and concentrated fruit flavours recall black currants and lingonberries, with an overtone of jam on the nose. 90. LaStella Allegretto MMVII ($45). This is the previous vintage. LaStella is stopping the use of Roman numerals on its front labels after receiving some flak from the regulators. Does no one study Latin anymore? The winery released 240 cases of this wine. It is a dark, brooding Merlot with notes of chocolate, black cherry, tobacco and oak and with firm tannins. This could be the wine to cellar while drinking the 2008. 88-90. 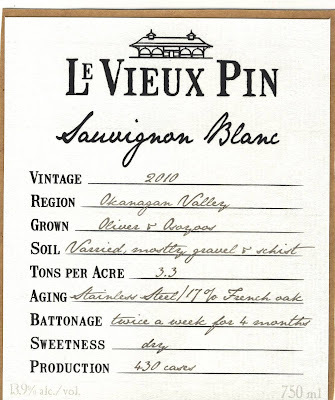 Le Vieux Pin Sauvignon Blanc 2010 ($35). The appeal of the LVP wines begins with labels that include all the essential information. The consumer learns that the grapes for this came from Osoyoos and Oliver vineyards that produced an average 3.3 tons an acre (low tonnage implies intense flavours). This dramatic white has aromas of lime, grapefruit and guava that explode from the glass. It delivers those flavours powerfully, finishing with notes of herbs, spices and even white pepper. This is one of the most expressive Sauvignon Blancs to come from the Okanagan. Some 430 cases are being released. 92. 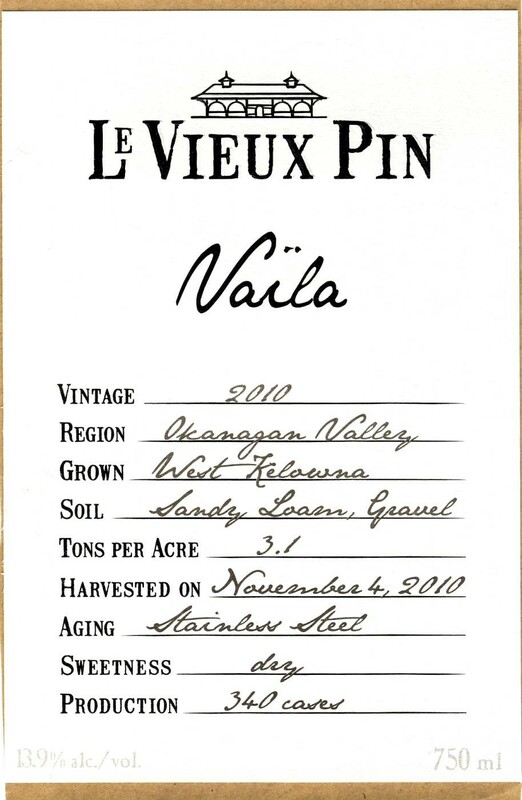 Le Vieux Pin Vaïla Rosé 2010 ($28). Pinot Noir for this wine was harvested on November 4 (2010 was also a late vintage) and juice for this rosé was drawn off after 24 hours on the skins. The wine, with a 340-case production, begins with an attractive salmon pink hue. It has aromas and flavours of strawberry, rhubarb and pink grapefruit and has a refreshing tang on the dry finish. 90. Le Vieux Pin Merlot 2008 ($35). This is the final Merlot from LVP as the winery makes the transition to Rhone varieties. Some 350 cases are being released. This is an appealing Merlot, plump and fleshy with blackberry and black currant flavours. 90. Le Vieux Pin Syrah 2008 ($45). This is the inaugural Syrah from this winery. Most of the 487 cases being released in April have already been allocated. The wine has the classic notes of pepper in the aroma and flavour, along with black cherry and plum. As well, the flavours are richly meaty and earthy in the Rhone style. 89-91. 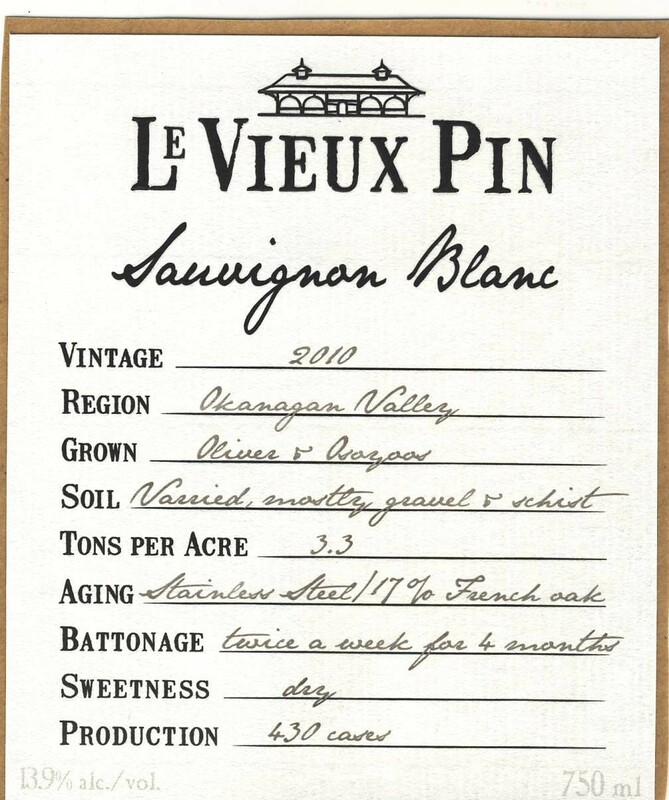 As the year moves along, look for Le Vieux Pin to release a 2009 Viognier-Marsanne ($35), in the winery’s migration to a portfolio biased to Rhone varieties. The talk of Penticton this spring is the new 10,000-square-foot Poplar Grove winery which opened in July, high on the flank of Munson Mountain. Visible from many parts of the city, the winery’s vivid green walls stand out like a beacon. Ian Sutherland, Poplar Grove’s founder, hastily points out that the green walls are the raw exposed fibre glass covering concrete. When the winery is finished, about June 1, it will be clad with cedar and will fit more comfortably in the landscape. However, the winery’s vast expanse of windows ensures that it will always be visible, especially in the setting sun. And those visiting the winery will be treated to one of the greatest Okanagan views available from any winery. It seems almost like looking at Penticton and Okanagan Lake from the window of an airplane. “We want the main focus to be on the wines – and after that, on the view,” Ian says. Poplar Grove opened in 1993 in a winery with a tasting room almost too small, as the cliché goes, to swing a cat in it. Space was even more cramped when cheese production was added to the business. In time, Ian erected a large metal building for winemaking, addressing the space needs of that side of the business. The tasting room remained small. Several years ago, pharmaceutical executive Tony Holler bought a majority stake in Poplar Grove. He also bought and planted more than 100 acres of vineyard. Once a garagiste winery, Poplar Grove began to expand its production and also launched a second brand, Monster Wines. In recent years, the winery had well and truly outgrown its tasting room and was pushing the limits on the processing facility. With great foresight, Tony bought a block of land on the side of Munson Mountain. He had identified it as a great winery location near the start of Naramata Road. Three years ago, the property was folded into Poplar Grove. This is meant to be a showpiece winery. The barrel cellar, visible through glass windows from the large tasting room, will include racks of Poplar Grove’s top library wines and a substantial table for private tastings. The tasting room itself has three individual tasting bars so that staff can give visitors the VIP treatment. Behind the tasting room, there is a restaurant that will be cozy in winter and will more than double in summer when open-air patio becomes available. The landscaping plans also provide for a terrace down the hill from the winery for functions. The view from this terrace is even more awe-inspiring than the view from inside the tasting room. It also looks over one of the winery’s vineyards, with two and a half acres of Cabernet Franc and Pinot Gris. When site is finished here, perhaps another three acres of vines will be planted. Concurrent with the opening of the new winery, Poplar Grove will be moving toward splitting its brands. Monster Wines, its entry-level brand, will be tasted and sold from the historic Poplar Grove tasting at least for this year. Current plans call for building a separate winery and tasting room for Monster on a former apple orchard at the corner of Tupper Road and Middle Bench Road. The site is a stone’s throw down the hill from the new Poplar Grove winery. While a lot of earth had to be moved to prepare the Poplar Grove site, the Tupper Road parcel is flat. The intention is to build a functional winery there with more processing capacity than there is at the winery up the hill. The tasting room for Monster Wines will also move to Tupper Road, perhaps as early as next year. These two wineries, so visible and accessible, will only add to Naramata Road’s reputation as the Okanagan’s best address for wine touring. It was a bitter sweet experience to start a tasting of California wines this week at the California Wine Fair in Vancouver at the table representing Bogle Vineyards. Exactly a month earlier, on February 11, Patty Bogle, the co-founder of this winery, had died of leukemia at the age of 59. It was in silent tribute to her memory that I raised a glass of Bogle Petite Sirah 2008, a variety for which she had been a major proponent. Bogle Vineyards was founded in 1979 by Patty and Chris Bogle. He died of a heart attack in 1997. Theirs has been a considerable achievement. The winery has grown to be the 14th largest in the United States, shipping more than a million cases of wine annually. In a time when family-owned wineries have been swallowed up by international wine giants, Bogle remains under family ownership. Son Warren Bogle Jr. is president, daughter Jody handles marketing and corporate affairs. Son Ryan, who joined the family business in 2008, is a vice-president. The winery has a reputation for making wines that are solid in quality and reasonable in price. That’s appropriate for the personality of Sirah, a variety that has struggled sometimes to step out of the shadow of Syrah, which is quite a different grape. It is probable that both grapes, along with many other varieties, came to California among the vine cuttings that Agoston Haraszthy brought back from Europe in 1861. If not then, the variety arrived soon after. There is a recorded reference to an experimenter in vines making wine in 1882 and 1883 with Petite Sirah. That varietal name was not known in Europe, however. Foppiano Vineyards, another Petite Sirah champion (and another of the California winery delegation this week), once published a long article in its newsletter, trying to shed light on the origin of the variety. Foppiano theorized that four different Rhone varieties – all making dark, rich and age-worthy wines – were casually called Petite Sirah, including Syrah, Peloursin, Mondeuse and Durif. It is believed that Durif is the variety that Americans came to call Petite Sirah but that conclusion, even after DNA research, remains contentious. California vineyards suffered heavy losses from phyloxera in the late 19th century. When growers replanted reds, the robust Petite Syrah was favoured over Syrah. That was especially so during Prohibition. Growers were not allowed to operate wineries but they could sell fresh grapes to the home winemakers. Grapes were shipped by rail all over the United States; for that reason, thick-skinned varieties like Petite Sirah were preferred to thin-skinned Syrah. Syrah had almost disappeared from California vineyards by the early 1980s. 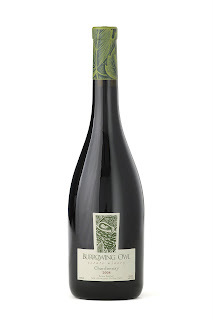 But when Australian Shiraz stormed the American market, Syrah plantings exploded, once again overshadowing Petite Sirah. If the variety had not had champions like Patty Bogle, it might have been largely eclipsed. Ironically, Syrah seems to be falling out of fashion these days. Who can say why consumers are so fickle? The other variety that Bogle championed was Chenin Blanc. That wine was among the four at the Bogle table although, unlike the others, it currently is not listed in this market. Free House Wine & Spirits, the agent in British Columbia, was using the California Wine Fair to troll for orders. Here are my notes on the four Bogle wines. Bogle Chenin Blanc 2009 ($21.99 if listed). This is a crisp wine, typical for the variety, with tangy apple and apricot flavours and with a long finish. 88. Bogle Old Vine Zinfandel 2008 ($23.99). This has the concentration one expects from old vines fruit. Dark and brooding, the wine has flavours of plum, blackberry and even blueberry. 90. Bogle Pinot Noir 2009 ($23.90). This well-priced Pinot Noir has generous flavours of cherry and strawberry with a spicy finish. 88. Bogle Petite Sirah 2008 ($21.99). This is the lovably rustic red that shows why the variety has many admirers. Full-bodied, it has earthy, meaty flavours along with notes of plum and chocolate. 88-90. Good on Patty Bogle for standing up for Petite Sirah. Those who get to taste the wines of British Columbia are fortunate indeed. Someone observed to me recently that this province is a “rare and special place” for wine production. Most of us who live here have been believers for at least 20 years. What makes it special? The vineyards are among the most northern in the world. Conventional wisdom in the 1960s and 1970s was that the Okanagan (80% of our vineyards are there) was too cold to grow the classic European varieties. The fact varieties such as Merlot, Syrah, Pinot Gris and Gewürztraminer now flourish here is not due to global warming but because the growers have learned how to grow those vines. The long, warm days and the cool nights of the Okanagan and Similkameen is the combination that yields mature grapes with vibrant flavours and good acidity. Our wines routinely have alcohol levels between 13% and 15% (which is sometimes too high). Compare that to the lower alcohol levels of Germany’s whites, also grown as far north as the Okanagan. The Okanagan and the Similkameen are unique terroirs. The two mountain ranges between these valleys and the coast shelter the valleys from the rainfall that is so abundant on the coast. The long, narrow valleys trap the heat each day during the dry growing season while the clear, unpolluted skies allow it to dissipate at night. Grapes thrive in this. Let’s start with three reds from Young & Wyse, an Osoyoos winery that opened a couple of years ago. 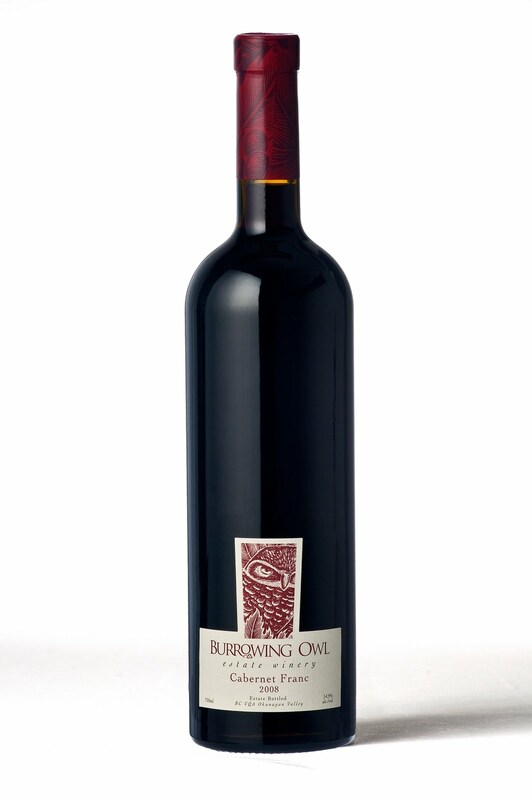 Winemaker Steve Wyse is a former winemaker at Burrowing Owl Estate Winery. There does indeed seem to be a family resemblance between the wines he used to make there and those he now makes in his own shop. Young & Wyse Collection Merlot 2009 ($19.90) has flavours and aromas of black currants, tobacco and chocolate. The structure is firm, indicating that this wine needs to be cellared for a few more years to allow the sweet fruit to express itself. Decanting works for the impatient. 89. Young & Wyse Collection Syrah 2009 ($22.90) begins with aromas of white pepper, cherries, blackberries and coffee. The flavours are plumy, with complex notes of leather and delicatessen meats. 90. Young & Wyse Collection 2009 Black Label 33-30-24-13 ($26.90). No, this is not a fertilizer. The numbers are the percentage of each varietal in the blend – in descending order, Merlot, Syrah, Cabernet Sauvignon and Cabernet Franc. There is mint, pepper and bright berry aromas and delicious fruit flavours on a bed of long, ripe tannins. 92. Let’s move over to the Naramata Bench and Van Westen Vineyards, a six-year-old winery that won a Lieutenant Governor’s Award for Excellence last year. The wines have developed a strong fan base, both for reliable quality and because the owners, Rob and Tammi Van Westen hand deliver their wines to the Vancouver market. There is nothing like personal service to make a connection with consumers. It always amazes me that many Okanagan wineries prefer to depend on DHL to deliver the wine. I like my DHL man but we never talk much about wine (or anything else, for that matter). Van Westen Viognier 2009 ($24.90) is exactly the wine, with its 14.7% alcohol, that shows just how ripe a good Okanagan grower can get his fruit. The wine gets away with its potent alcohol because it is so rich, with flavours of guava, pineapple, butter and apricots. 88. Van Westen Vivacious 2009 ($18.90). Primarily Pinot Blanc, this is a crisp and, yes, vivacious white with aromas and flavours of apples and a backbone of minerality. 88. Van Westen Vino Grigio 2009 ($18.90). This is a crisp and refreshing Pinot Gris, with citrus aromas and flavours, along with hints of pears and apples. 88. Van Westen Vivre la Vie 2007 ($27.90). As you know, every Van Westen wine has a name beginning with “V”. This wine is 100% Merlot. It is a big, ripe wine with 14.9% alcohol but so much fruit and chewy texture that there is no heat on the finish. The wine begins with abundant red berries on the nose. Its layered flavours include currants, blackberries and plums with hints of chocolate and vanilla on the finish. 90. Van Westen Voluptuous 2007 ($29.90). You like them ripe? Try 14.8% alcohol, 18 months in oak. I found this wine – 67% Merlot, 33% Cabernet Franc – fairly tight straight from the bottle. Decanting definitely benefited the wine, which then showed a fleshy texture and flavours of sweet red berries framed by oak. On the finish there were notes of chocolate, tobacco and cedar. 88. Staying on the Naramata Bench, let’s look at three current releases from Red Rooster Winery. This winery was started by Beat and Prudence Mahrer but was purchased in 2005 by Andrew Peller Ltd. The new owner named Karen Gillis, one of their rising stars, as the winemaker. Because the estate vineyard is actually quite small, Red Rooster draws grapes from all over the south Okanagan, given Karen a lot of options. The clever marketing ploy here is to have customers and potential customers sign onto the email list. Every so often, the winery offers worthwhile new releases first to this list, always at a discount. Red Rooster Reserve Meritage 2008 ($24.99) is one of those rare Meritage wines built around Cabernet Franc – 58%, along with 33% Merlot and 4% Malbec. The wine has aged 14 months in oak, mostly older American oak barrels. There are aromas of vanilla and blackberries. On the palate, the wine is full-bodied with ripe tannins and the brambly flavours typical of Cabernet Franc. 88. Red Rooster Riesling 2009 ($15.99). The grapes for this wine came from Inkameep Vineyards at Oliver. This is a big, almost fat white with 14% alcohol but also with a touch of residual sugar. The nose and the palate have aromas and flavours of honey and marmalade. 88. Red Rooster Chardonnay 2009 ($16.99). This wine acted almost like a red wine: a bit restrained when first poured, it opened gradually to show aromas and flavours of tangerine, with a hint of butter. 88. Moving to Kelowna, Summerhill Pyramid Winery focuses primarily on organic grapes and wines. Summerhill Organic Chardonnay 2009 ($22.95) is light and vibrantly crisp, with citrus notes and with a surprisingly moderate 10.9% alcohol. Think of this as an Okanagan Chablis. 86. Summerhill Cabernet Sauvignon 2007 ($26.96). There is no information on the winery web site on the source of the grapes but the 14.6% alcohol and the ripe flavours are hallmarks of the south Okanagan. And this wine’s quality also reminds us that 2007 was one of the best recent red vintages in the Okanagan. Dense in texture, this wine has flavours of black currants, figs, black chocolate and tobacco. The wine remaining in the bottle opened up very well overnight, making the case for decanting. 89. As special as the Okanagan is, one must admit that very fine grapes also grow in California. New Westminster’s Pacific Breeze Winery makes its red with California grapes and does a very good job. The wines are bold and, in recent years, some of the labels are equally bold. Pacific Breeze Big Red 2008 ($24.99 but sold out) is a brawling, robust wine with 14.7% alcohol, aromas of vanilla and iodine, and flavours of plum and currant s and chocolate and tobacco. 88. Pacific Breeze Vin de Garagiste P3 Cabernet Sauvignon 2007 ($19.99) comes at you like a broadside, with 15.4% alcohol and tons of port-like fruit. Don’t try finishing the bottle alone – but wine like this is meant to shared anyway. 88. Legendary for her contributions to successful British Columbia wineries, Christine Coletta has come up with another ground breaker: an incubator winery. Along with several partners, she has announced the Okanagan Crush Pad Winery, to be open by this fall. At least four labels will be produced here, including her own Haywire Winery, which began marketing its wines last year. This is not the Okanagan’s only custom crush or incubator winery but the concept is not as developed as it should be due to barriers in liquor licensing regulations. Coletta and her colleagues, one of whom is David Scholefield, have asked for a meeting with the regulators to resolve the grey areas. 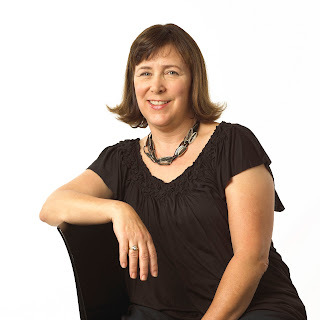 She has the necessary credibility with both government and the wine industry; as executive director of the British Columbia Wine Institute in the 1990s, she played a central role in putting B.C. wine on the map. The future for incubator winemaking looks a lot more promising than the past. Adora Estate Winery, which opened in 2003, was the Okanagan’s first custom crush winery, producing wines for other wineries (such as Calliope, Morning Bay, Cellars at the Rise, Aces Wine Group) and for its own label. In the past two years, Adora has wound down its activities but plans to relaunch with a new label, a new Summerland winery and new clients. Various individual wineries have incubated others over the years. JoieFarm and Painted Rock Estate Winery made their first vintages at Poplar Grove Winery, for example. Foxtrot Winery had its first three vintages made at Lake Breeze Vineyards before building its own cellar. 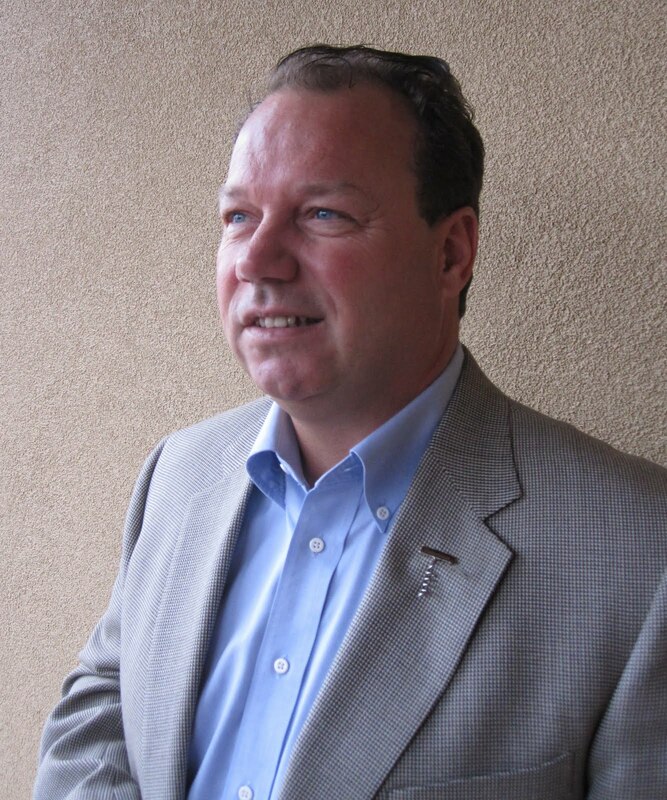 Last year, Alan Dickenson and several partners opened Alto Wine Group in Okanagan Falls. It makes wine for labels that the partners are launching and it offers custom crush services to other boutique producers. Proper accommodation and regulations for incubator wineries is long overdue. There are successful models operating in the United States, New Zealand and no doubt elsewhere. Regulations in British Columbia require land-based wineries to have at least a minimal vineyard and a processing facility on the same site. That has not been enforced strictly (thank heaven). Neither Sandhill Wines nor Prospect Winery ferment wines on their vineyards; they ferment their wines in the commercial wineries owned by their parents. Some in the industry see that as an example of a grey area. The argument for incubator wineries is obvious. The cost of starting a winery is a major barrier when every new entrant is expected to have a standalone winery on a vineyard. You would need at least $1 million to get started. That is why almost none of British Columbia’s 200 wineries have been started by young vintners. As Coletta says, it is like the Vancouver housing market where young people can’t afford the housing unless they are highly paid professionals or have inherited wealth. The Okanagan Crush Pad Winery eliminates this barrier to getting into the wine business. Its first client (aside from Haywire) will be wine educator Rhys Pender MW who will make the first wine this fall from his small vineyard in the Similkameen Valley. David Scholefield, a former portfolio manager at the Liquor Distribution Branch, and Michael Bartier, the former Road 13 winemaker, will use Crush Pad to produce their own label. As well, Bartier is likely to use this facility to launch a brand with his brother. Similarly, Alto Wine has provided Tom DiBello, CedarCreek’s former winemaker, with the opportunity to launch his own label later this year. If these vintners were expected to come up with $1 million each before starting a winery, none of this would happen and consumers would be denied what are likely to be exciting wines. Undoubtedly, there are many others who would start boutique wine labels if given access to incubator wineries. These include the rising number of graduates from Canadian wine schools. There also are a number of growers who would prefer to turn their grapes into their own wines but cannot afford the startup costs. Incubator wineries don’t just make wine. They provide a meeting place where vintners can help each other with everything from technical advice to marketing know-how. Perhaps the established wineries might be nervous about all of the new competitors that Crush Pad and Alto Wine are expected to foster. Okanagan wines held their own - for the most part – against international wines in the recent Cellars of the World wine competition in Kelowna. This competition, organized by wine writer Michael Botner, was launched a few years ago specifically to have British Columbia wines judged in an international context. None of the other major Okanagan competitions is open to wines from elsewhere. At $15 per entry, this is one of most affordable wine competitions around. This year, it attracted 136 wines, a surprisingly small number, considering the entry fee. However, it takes time for a competition to become established. When the Lieutenant Governor’s competition was set up seven or eight years ago, the first few competitions attracted just over 100 entries, even though there is no fee at all. But last year’s competition attracted more than 300 entries. For the most part, the wines in competition are reasonably priced. There are gold medal winners that we can all afford. For this year’s Cellars of the World, Botner drew on talent both in the Okanagan and from across the country to put together a panel of 18 judges. These were divided into panels judging about 35 wines each, a commendably leisurely pace that does not wear out palates. The judging was done in a large room at Kelowna’s Coast Capri Hotel. The facilities were excellent with one exception: the wine glasses that the hotel provided for the competition were gravely inadequate. In fact, having judged at various competitions over the years, I am often appalled at how bad the stemware can be. Poor wine glasses really handicap the wines. In this instance, all wines suffered the same handicap – so it was perhaps not unfair, except to our enjoyment of the wines. The award-winning wines are available for a public tasting on March 11 at the International Wine Exhibition, also at the Coast Capri. If you go, you might consider taking your own wine glass. A recent dinner party have me the opportunity to open three different Chardonnays, including a new release from Camelot Vineyards, a boutique winery in East Kelowna. I was particularly interested in that wine because the owners of Camelot had expressed some trepidation at entering two new releases for VQA certification, to which I suggested that the wines would breeze through. After all, the consulting winemaker is the legendary Ann Sperling. Of course the wines sailed through – both at VQA and at my dinner party. I am not going to reveal what the other two Chardonnays were to save those wineries the embarrassment. Camelot simply blew the competition away. Camelot was opened in 2009 by Robert Young and Denise Brass, two Air Canada flight attendants. In 2007 they planted six acres of Pinot Gris, Riesling, Gewürztraminer and Pinot Noir, replacing an apple orchard on the family farm operated for 40 years by Robert’s father. The apples came out when the price of the fruit no longer covered even the cost of delivering them to the packing house. They built a compact winery in 2008, purchasing grapes for the initial vintages because of the youth of their vines. The flavours of the 2009 Chardonnay and the 2009 Syrah just released show that they managed to line up good vineyard sources. The previous vintages of these varietals sold out quickly and I would not expect these two to be around for too long either. That’s the disadvantage of finding favourites from small wineries. Serendipity enabled them to line up Ann Sperling as their launch winemaker. The Sperling family, veteran Kelowna grape growers, had decided to start a winery of their own but, at the time, had no licensed winery in which to make the first vintages for Sperling Vineyards. However, Camelot had just licensed its new winery, just down the road from the Sperling vineyard, and had capacity to spare. It was a no-brainer for Ann to make both her family’s wines and those for Robert and Denise at Camelot. Robert’s father once called a family home “Camelot.” Robert and Denise not only applied that name to the winery; they have added elements to the tasting room to echo the legends of King Arthur and the Round Table. A massive sword is embedded in a big stone at the tasting room entrance. There is a round table in the tasting room, along with suit of armour, a German-crafted replica because the price of genuine armour is out of sight. The total portfolio of Camelot wines is tightly focussed. In addition to the Syrah and the Chardonnay, the winery offers Merlot, Pinot Blanc, Pinot Gris, Gewürztraminer and Riesling. Camelot Chardonnay 2009 ($22.95). This is a barrel-fermented wine, with the oak very well integrated and not dominating from rich fruit. There is a hint of toast on the nose and the flavour, an echo of the barrels. The aroma is rich with notes of butterscotch and tangerine and that carries through in the ripe flavours. There is a lingering finish with a classic hint of cloves. 90. Camelot Syrah 2009 ($20.95). This well-priced Syrah is a delicious and warming red on these cold winter days. It begins with aromas of cherries and plums, leading to flavours of plum, leather and pepper. The rich and generous fruit is big enough that the bold alcohol level (14.9%) is not evident. The soft, ripe tannins add to the wine’s juicy appeal. 88. Never mind a Robert Parker score. That says all you need to know about that superb wine. The winery is now releasing four more reds, all of them with a similar wow factor. Blackwood Lane Vineyards & Winery is a boutique producer that makes its wine from Okanagan grapes but has its tasting room and winery on 8th Avenue in Langley Township. It is a great place to visit on a sunny day because the wine shop is in a refurbished bungalow with spectacular view of Mount Baker. On the occasions I have been there, the tasting room was fairly quiet, suggesting that Vancouver-area wine enthusiasts are, for the most part, not aware of this winery and its excellent wines. It’s worth the drive, especially if one also makes a luncheon booking nearby at Domaine de Chaberton’s excellent bistro. In a few months, through Whitecap Books, my publisher, I am releasing a new book on the wineries of the Fraser Valley and the islands. I hope that will improve the visibility of these wineries and persuade wine tourists – who may not know what is in their backyards - that they need not always go the Okanagan for wine touring. Blackwood Lane was opened in 2007 by winemaker Charles Herrold and his partner, Carlos Lee. Last month, Carlos acquired Charles’s interest in the winery, in part because Charles is ramping up his own boutique winery in Washington State. For those who can’t get to the winery, the Blackwood Lane website includes a list of wine stores in the lower mainland that carry the wines. A warning: many of the releases come with sticker shock. Blackwood Lane’s business model has been to pay top dollar for premium Okanagan grapes. That has to be reflected in the price of the wine. But that is the way it is all over the world. The $100 plus Napa Cabernet Sauvignons are also made from really expensive grapes. Is Blackwood Lane in the same league yet as Cakebread or Caymus? Perhaps not yet but its first few vintages certainly show astonishing promise. Will the British Columbia market sustain a winery with a super-elite business model? Who knows? But don’t wait to find out. Try some of the wines now and make up your mind. The wines currently available begin with a solid $24 red, Vicuña Roja 2008, a blend of 60% Cabernet Franc, 30% Merlot and 10% Malbec. The wine is bright and juicy, with aromas of spice and cherries and flavours of mocha, cherry and blackberry. The ripe tannins give this an accessible and drinkable texture. 88. New from the winery is a Pinot Noir 2009 ($44), made entirely with free-run juice from four different clones of Pinot Noir. The wine begins with a dramatic aroma of raspberries and cherries and even a hint of tobacco. On the silken palate, there are flavours of strawberries and spice. On the finish, the wine shows a delicate, feminine character that adds to its appeal. 92. Blackwood Lane Merlot 2007 ($44) struck me as a sultry, dark-haired beauty (to stay with the metaphor). Rich on the palate, the wine has appealing aromas and flavours of cassis, black cherry, vanilla, fig and chocolate, with a lingering finish. 94. Blackwood Lane Cabernet Franc 2007 ($44) has the classic vibrancy of this variety: aromas of peppery cherries and blackberries, flavours of blackberries and black currants and black liquorice, with a lingering finish. 91. Blackwood Lane The Referènce 2007 ($99). This Bordeaux blend is expensive not just because of the grapes but also because of the barrel treatment. The wine is aged initially in French oak barrels and then finished in French oak puncheons, the larger size of which polishes the wine without making it too oaky. Dark in hue, the wine begins with aromas of red berries, spice and vanilla. The flavour palate is a bit like a very good Black Forrest cake, with chocolate, cherries, plums, figs, currants and spice. The wine is approachable now, with decanting, but will age easily for 10 years. 96. I note from the winery’s website that The Referènce 2006 is still available. I thought that was another 96 point wine. Charles insists that the 2007 is a better wine. Perhaps a well-heeled collector will invite me one day for a side-by-side tasting.